The G-20 Summit in Buenos Aires this Friday could ignite the comeback the stock market needs, according to CNBC’s “Mad Money” host Jim Cramer, especially if a meeting between U.S. President Donald Trump and China president Xi Jingping materializes into something positive. Tech giant Apple, in particular, would like to see a favorable result from the meeting. The iPhone maker’s shares have already been depressed by a spate of analyst downgrades as the gloomy outlook for future sales dampened investor confidence with analysts citing higher unit prices as a futile attempt to curb the eventual loss in sales. The tech giant’s shares got battered again when President Trump mulled the idea of a 10% tariff on iPhones and laptops imported from China. Shares of Apple are down just under 1% as of 1:15 p.m. ET, but have fallen just over 20% within the past month. 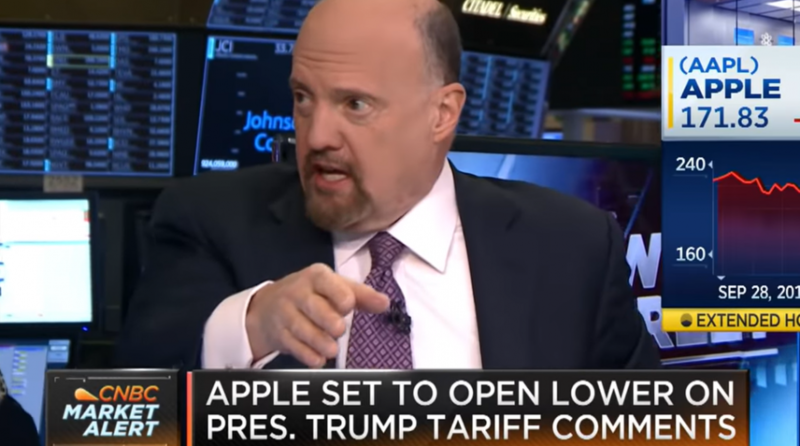 November’s early post-midterm election rally was short-lived as the volatility that roiled investors in October spilled over into November, prompting Jim Cramer to call it “one of the worst times in a long time.” The FANG (Facebook, Amazon, Netflix, Google-Alphabet) stocks have been on a downward spiral amid third-quarter earnings season, falling as much as 10% from their top-of-the-world 52-week highs.